US 52, L on Johnson Fork 9.7 mi to IN-252, L onto 252 2 mi, R on Big Cedar N. Prop .7 mi on R. Sign on. Seclusion and nature abound in this 3 bedroom 2 full bath ranch. Over 13 acres of woods for your recreational enjoyment! Finished LL with family room and an additional bedroom. 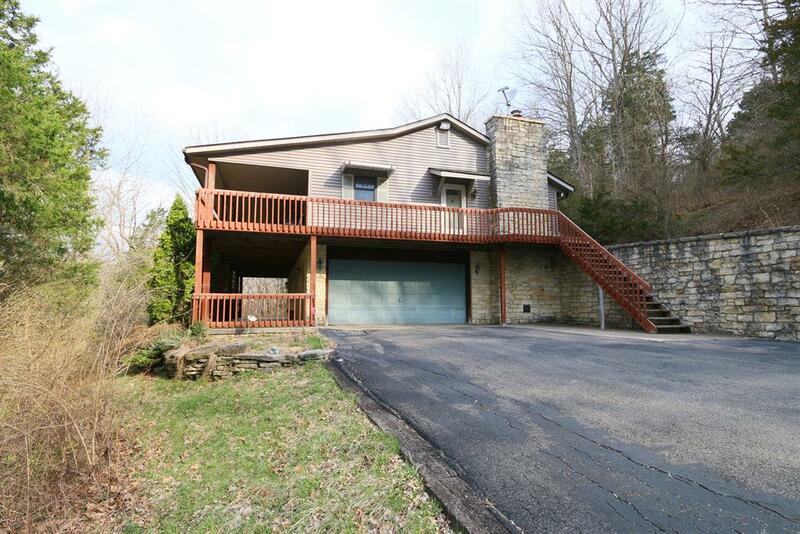 Two full length front porches with wooded and valley views. Blacktop driveway and large outbuilding to store your recreational vehicles or create your workshop.